: 6 to Spring St.
Where the pain au chocolate and other pastries seem freshly arrived from Paris. : You'd think in a city brimming with French expats and bakeries that a good pain au chocolat would be a cinch to find. Not so. 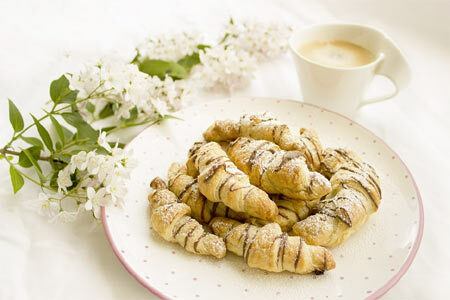 But your search can end at Ceci-Cela, where the breakfast buns are flaky and filled with just enough brown stuff. 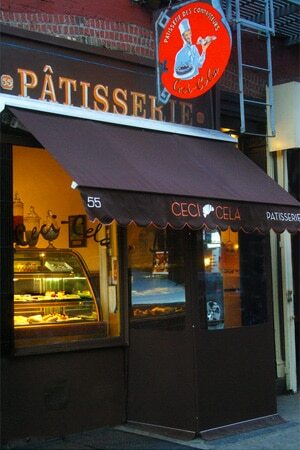 Owned by two former French pastry chefs who met while working at a Club Med, Ceci-Cela's counter is constantly jammed with fans. If you have time to spare (service is not speedy), go into the woody back room and treat yourself to hearty sandwiches, quiche, coffee and pastries.